The air was heavy on a humid August Thursday, the band was playing, the stands were packed. It could only mean one thing…it’s that special time of the year: it’s football season. To kickoff the 2013 season, the Whiteford Bobcats came into Royal country to battle Blissfield on a Thursday night, Aug. 29, under the lights. 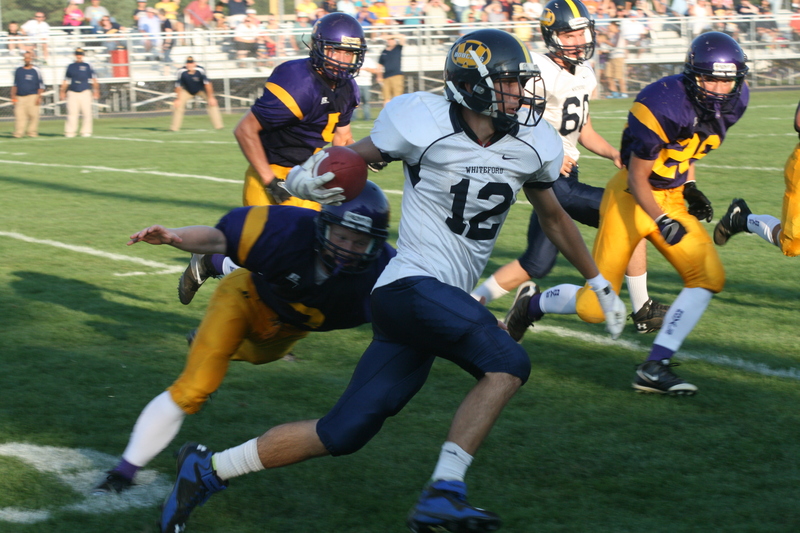 Whiteford played the role of spoiler as it bested Blissfield 37-20 to open the season. Zach Perry carries the football for Whiteford. the Sept. 4, 2o13, edition of The Advance.